Blockchain technology is a major force, making waves in every market from retailers to restaurants. Pizza restaurateurs need to get a handle on this technology if they want to stay on the cutting edge or risk being left to eat the dust of their more forward-moving competitors. Fortunately, one of Pizza Marketplace’s sister site’s publications has you covered. Blockchain Tech News is like a continuing education course for restaurateurs and other retail businesses on an admittedly confusing topic. And because this website has an “in” with the editor — Bradley Cooper — we pinned him down recently to give restaurant leaders the lowdown not only on what blockchain is but how restaurant brands can use it. This means the blockchain acts as a public ledger, where every transaction is recorded and registered by a group of users. It is the backbone of bitcoin, a decentralized virtual currency. The users confirm transactions through a process known as mining, where users lend their computer processing power to solve mathematical equations to confirm and register the bitcoin transactions. While bitcoin was the first to use blockchain, it is not the only app for it. Ethereum also recently developed its own blockchain, and every cryptocurrency uses some form of the blockchain as well. Q: For restaurateurs, how is blockchain being used and what other uses aside from virtual currencies might be of interest to foodservice brands and their leadership? A: For one, it can enable so-called “smart contracts,” which are computerized steps that are designed to digitally verify and enforce a contract’s performance, meaning they allow credible transactions to take place without third parties verification because the ledger itself provides proof of those transactions and all those involved. Q: Why would these approaches help restaurateurs be more competitive in an already ultra-competitive marketplace? A: There are many ways that blockchain technology can help restaurants be more competitive. First of all, it can offer a key customer demand: transparency. Let’s say you have a restaurant that prides itself on organic food grown or raised in healthy environments. But how do you prove that your food is healthy and organic? With tools such as blockchain supply management, a restaurant can track cattle, for example, from farm to fork. They can then provide this information to customers so they get an exact idea of what they are eating. On another level, blockchain can offer better loyalty programs. Restaurants can use blockchain-powered loyalty platforms to offer tokens to customers, which they can use to redeem for purchases or to get discounts. They can use these unique platforms asa marketing tool, like Oscar Mayer did for its intriguing Bacoin project. Q: How will Blockchain Tech News help restaurateurs make sense out of this seemingly complex technology and its potential applications? A: Blockchain Tech News provides news on the industry that everyone can understand. You won’t find any complex formulas on this site! 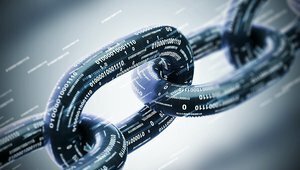 It will provide key news on blockchain platforms and developments that will directly impact restaurants, and it will explain how these solutions work. Blockchain Tech News also provides several basic guides for how the blockchain works and how it impacts each industry. Q: If restaurant leaders have questions around this topic or would like Blockchain Tech News to provide some coverage that might help their businesses or even have a blockchain-related success story of their own to tell, how should they reach you? A: Of course! If they wish to get in touch, they can always email me at [email protected] or get in touch with me on Twitter @CooperBradleyc. Award-winning veteran print and broadcast journalist, Shelly Whitehead, has spent most of the last 30 years reporting for TV and newspapers, including the former Kentucky and Cincinnati Post and a number of network news affiliates nationally. She brings her cumulative experience as a multimedia storyteller and video producer to the web-based pages of Pizzamarketplace.com and QSRweb.com after a lifelong “love affair” with reporting the stories behind the businesses that make our world go ‘round. Ms. Whitehead is driven to find and share news of the many professional passions people take to work with them every day in the pizza and quick-service restaurant industry. She is particularly interested in the growing role of sustainable agriculture and nutrition in food service worldwide and is always ready to move on great story ideas and news tips.